1. The site “disappeared” for centuries. 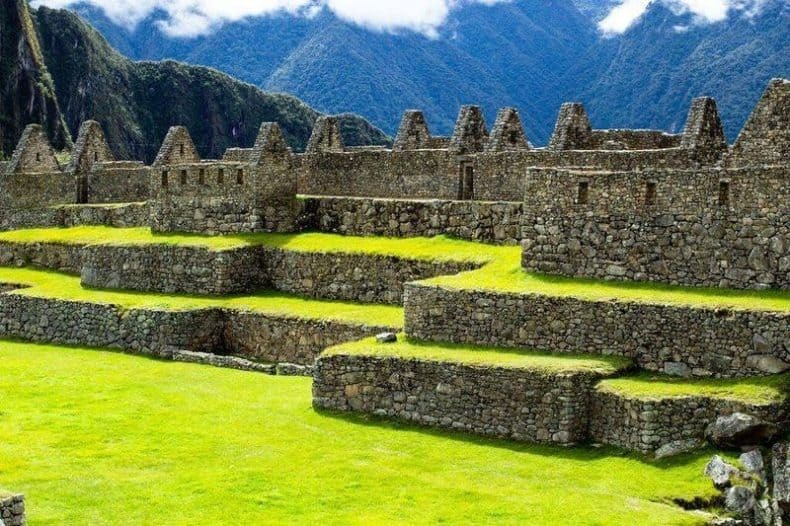 The ancient Inca site which was built midway through the mid-1400’s but was unknown to outsiders until 1911, when it was brought to international attention by archaeologist Hiram Bingham. On July 7th 2007 Machu Picchu was named one of the new 7 Wonders of the World. It has been a UNESCO world heritage site since 1983. 2. The Spanish never found it. 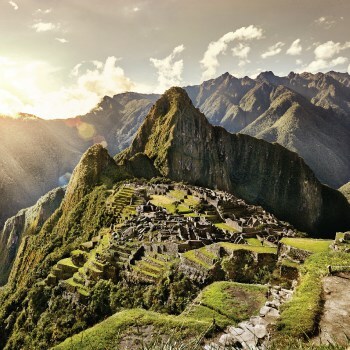 Machu Picchu is often referred to as the “Lost City of the Incas” due to the belief that the Spanish never found the city when they conquered the Incan Empire in the 1500’s. 3. It takes some effort to get there. Machu Picchu is located in the small province of Urubamba in Cusco. The unique stone construction of Machu Picchu is built against a cliff with a drop of 400m, which overlooks the Urubamba River. 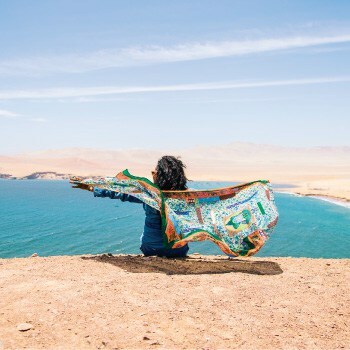 Check out our Cusco city guide to make sure you make the most of your time and don’t miss out on some of Peru’s hidden gems. 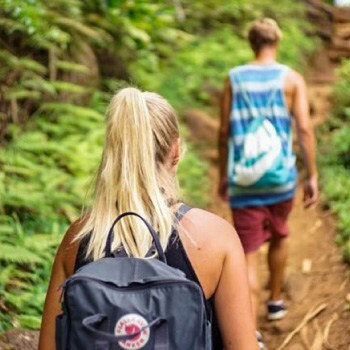 Quick Tip: The best option for transport in Ecuador is the new Ecuador Hop bus service, featuring many unique stops to help you discover the real Ecuador. 4. There are ghost stories! Due to its location high in the mountains, every day until roughly midday a blanket of mist covers Machu Picchu. This creates the feeling of floating amongst the clouds. However, legend has it that at night, spirits rise from the ground and try to take people away. To protect against this, most porters will sleep with a mirror or a shiny piece of metal beneath them. So, watch out!! 5. You won’t learn this in your Spanish book. The Incas spoke a language called Quechua and many people still speak the language to this day. Machu Picchu means “Old Mountain” or “Old Peak” when translated from Quechua into English. 6. The building skills required to make it are simply amazing. The granite rocks used to construct Machu Picchu were extremely heavy with some weighing over 55 tons. The stones were either pushed up the mountain by the bare hands of hundreds of men or chiseled from the side of the mountain itself. Machu Picchu was constructed with a technique called ashlar which involves stones being perfectly shaped so that a mortar is not needed. The stones are fit so well that not even the blade of a knife would fit between them. 7. Machu Picchu Facts: How many people lived there? 8. 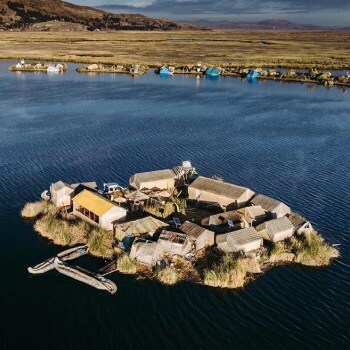 The exact reason it was abandoned by the Incas is still a mystery. The Inca people did not keep any written records, keeping the intended purpose of Machu Picchu up for debate. 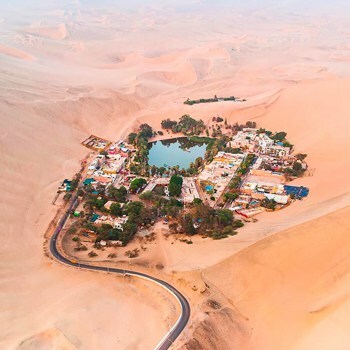 It was only populated for 100 years, after which it was abandoned (around the time of the Spanish invasion). Some People believe that Machu Picchu had to be abandoned by the Incas because of an outbreak of smallpox. 9. It’s not as small as you might think. These Machu Picchu facts will surprise you. More than 150 buildings make up Machu Picchu. These buildings range from temples and sanctuaries to baths and houses. There are also over 100 flights of stairs in Machu Picchu. Most of which were carved from one single slab of stone. 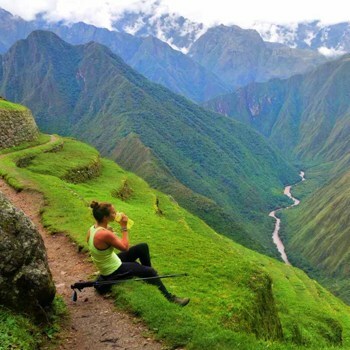 To find out everything you need to know about visiting Machu Picchu click here. Peru was in a longstanding disagreement with Yale University in the United States over 5,000 artifacts which were collected by Bingham during his exploration. Peru argued that they gave the artifacts as a loan while Yale insists they own the artifacts. This disputed ended in 2011, when Yale agreed to return all of the artifacts to Peru, putting the battle to rest. To stop the structure from sliding down the side of the mountain the Inca people also built over 600 terraces. For their time the advancements they made in structural engineering were unheard of! 12. The Incan road and communication system rivaled Rome. 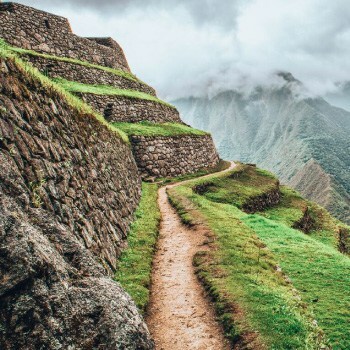 The Incas developed structured communication systems and trails connection Machu Picchu and other sites throughout the region which stretched over 18,000 miles long. This ranged from building bridges to paving mountain trails. 13. Part of the structure functions as a clock. Archaeologists have been able to identify the 3 main structures of Machu Picchu. These are the Temple of the Sun, the Room of the Three Windows, and the Intihuatana. The Intihuatana is a stone that was created by the Incas to be used as either a calendar or an astronomical clock. 14. It’s better equipped for an earthquake than California. To combat the fact that Peru is extremely earthquake-prone, every building built in Machu Picchu was made earthquake-resistant by the Incas! When an earthquake does strike, it is said that the stones of Machu Picchu dance. 15. 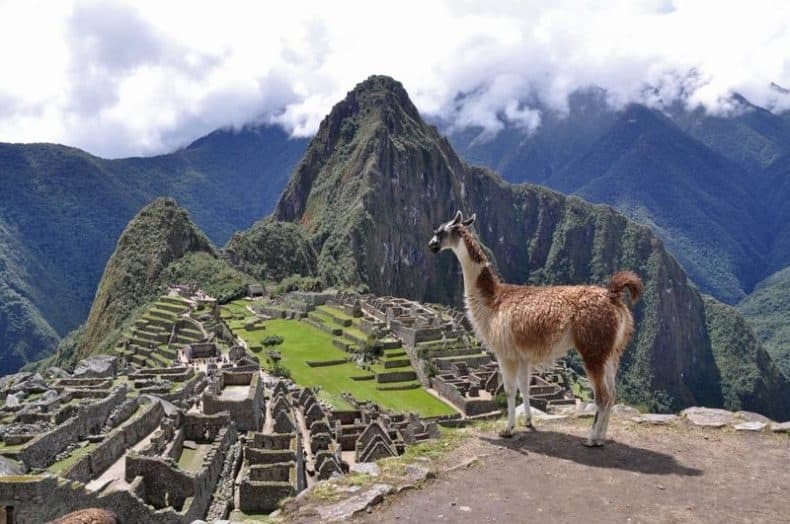 Machu Picchu is also a movie star. And finally… A Bollywood film called “Robot” was one of the few films that has been granted permission to film at Machu Picchu. The result was a crane damaging a part of the site, causing an uproar! To truly appreciate Machu Picchu, you have to see it in person! 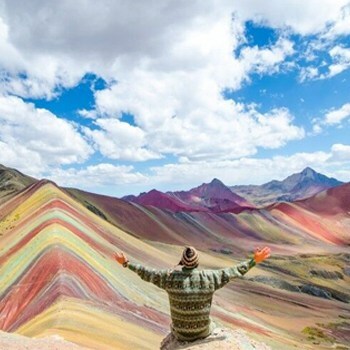 Have a look at our bus passes to Cusco and see what route suits you best to see this incredible relic of the Inca empire.